Trump’s silence about two Indians shot in Kansas speaks volumes. Two Indian nationals were shot by a man yelling racial epithets. The president said nothing. That’s all we need to know about who matters in Trump’s America. Alleged shooter Adam Purinton, 51, of Olathe, Kansas, in an undated handout photo. Clinton Police Department/Handout via Reuters. On Wednesday night at a bar in Olathe, Kansas, 51-year-old Adam Purinton pulled out a gun and opened fire on two local engineers from India as well as two patrons who tried to intervene in the situation. One of the Indian men, 32-year-old Srinivas Kuchibhotla, died of his wounds while at a hospital. The other, Alok Madasani, also 32, was injured. One of the bystanders, 24-year-old Ian Grillot, who is white, was seriously wounded. According to witnesses, Purinton had been kicked out of the bar after causing a disruption. He later re-entered carrying a weapon. Hurling racial slurs at the two engineers, he began firing. “Get out of my country,” he reportedly said. If accurate, witnesses and victims have described a hate crime: an attack meant to intimidate an entire community, as much as to harm a particular individual. Given the larger atmosphere of fear and hostility toward immigrants and people perceived as “foreigners,” this shooting has received wide attention from national outlets. But there’s one prominent observer who hasn’t weighed in on the incident: the president of the United States. Donald Trump is quick to comment on everything from leaks in his administration to cable news—and he’s never refrained from condemning terrorist attacks. Earlier this month, for example, at the Louvre Museum in Paris, a young man attacked a group of soldiers: Wielding a machete, he ran at them shouting in Arabic, “Allahu akbar.” Police shot and subdued the suspect, who was taken into custody with serious injuries. The attempted attack placed terrorism back in the headlines of French politics, renewing fears and concerns around security and immigration. Here in the United States, President Donald Trump used the incident to justify his exclusionary policies toward Muslim immigrants and refugees. “A new radical Islamic terrorist has just attacked in Louvre Museum in Paris. Tourists were locked down,” said Trump on Twitter. “France on edge again. GET SMART U.S.” This was of a piece with statements Trump made in the wake of incidents in Nice, France, Berlin, and other attacks overseas claimed by militant Islamist groups. There was no such statement about the two men in Kansas. No condemnation of the racial violence that grievously wounded an American and claimed the life of a law-abiding legal resident. But then, Trump is rarely interested in those incidents. Just two days after the attempted attack in France, 27-year-old Alexandre Bissonnette shot and killed six worshippers at a mosque in Quebec City. Described by activists as a “white nationalist,” Bissonnette was known locally as a right-wing, anti-immigrant troll inspired by extreme right-wing figures like Donald Trump and France’s Marine Le Pen. Where Trump was vocal in the face of the incident in Paris, he was silent following the murders in Quebec. White House Press Secretary Sean Spicer called the attack “a terrible reminder of why we must remain vigilant and why the president is taking steps to be proactive instead of reactive when it comes to our nation’s safety and security,” which reads as a defense of the administration’s travel ban. This was an odd choice of words, as Bissonnette was a native-born white Canadian, not a refugee or Muslim immigrant. 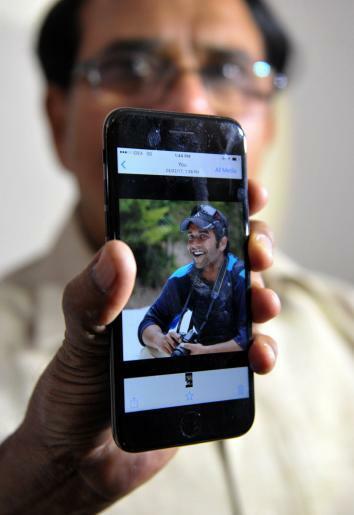 Jagan Mohan Reddy holds a phone with an image of son Alok Madasani, one of the shooting victims, in Hyderabad, India, on Friday. It’s tempting to read the president’s silence on either Quebec City or Kansas as simple insensitivity. But that judgment is challenged by our ability to imagine the scenarios under which Trump would make a statement. 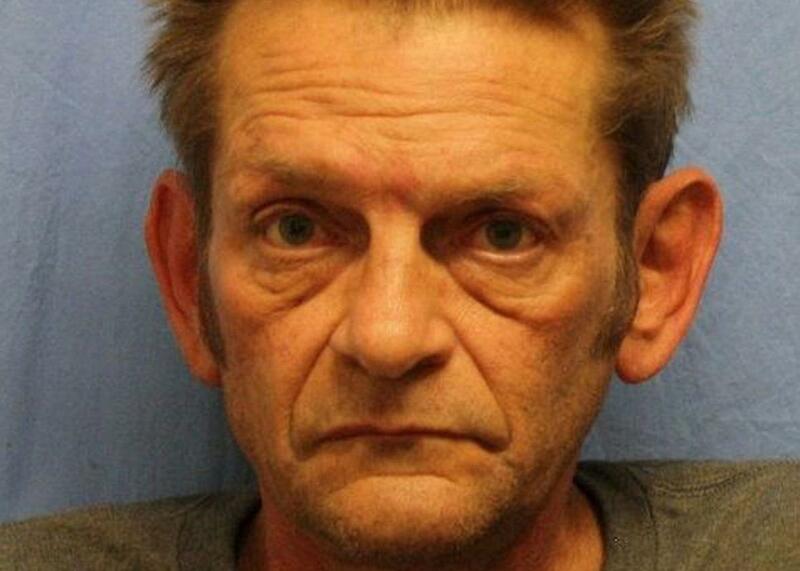 If the situation in Kansas were reversed, if two Indian immigrants attacked a group of white patrons to intimidate the larger community, there’s little question that Trump would respond with anger and condemnation. Had a young Muslim man killed worshippers at a Catholic church, it’s a near-certainty that the president would have called for even harsher measures toward refugees. We know this because of Trump’s own actions; in the campaign, his call for an anti-Muslim crackdown came in the wake of the Orlando Pulse nightclub shooting despite the fact that the assailant was a native-born American. Trump’s selective outrage is more than just a double standard. Like his early blitz of executive orders, it’s an important symbolic gesture. Proclaiming new draconian measures to protect police officers is explicitly siding with “Blue Lives Matter” against protesters and reformers. Likewise, elevating one kind of attack as worthy of condemnation and ignoring another is to implicitly say that one kind of assailant is more dangerous than another—and for that matter, the life of one kind of victim is more valuable than another. For Trump, “radical Islamic terrorism”—which in practice just means Islam—is the principal threat to the United States. And so any attack on a Western target (Trump is also seemingly indifferent to terrorist violence against Muslim targets) from anyone who fits that description, or who can be linked to refugees or immigration, becomes a cause for focus and attention from the White House. The opposite is true for anti-Muslim or anti-immigrant hate crimes, or acts of terror planned or committed by white supremacists. Despite the real toll they take on communities, those attacks are of little interest to the administration. Indeed, in another largely symbolic move announced at the beginning of this month, Trump said he would revamp and rename a program designed to counter all violent extremism so that it focused on “radical Islamic extremism.” It will no longer target white supremacist groups and other racist extremists. Again, it’s a symbol and a signal: Islam is the threat, not racism or weaponized hate toward nonwhites and immigrants. Donald Trump has not done much as president, but he has done this: He’s sent a clear signal to the country about who is worthy of empathy and concern—and protection—and who is not; about who deserves your outrage and indignation, and who doesn’t. Trump’s double standard is just another of the many ways he has told the American public that the lives and safety of immigrants and Muslims just don’t matter all that much.